Do you have a HP Pavilion dv7? If your answer is yes, your laptop has two internal 2.5 inch hard drive bays. If you did not special order your laptop with two hard drives, it is most likely that your laptop has only one hard drive installed, and has the capability of adding a 2nd hard drive or SSD. 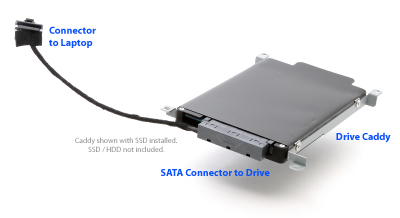 To add a 2nd hard drive or SSD to your HP Pavilion dv7, you would need a SATA HDD cable, or HDD caddy or both. This would depend on which HP Pavilion dv7 model series you own. There have been different releases of the HP Pavilion dv7 models over the years. It started from the HP dv7-1000 series all the way to the HP dv7-7000 series. 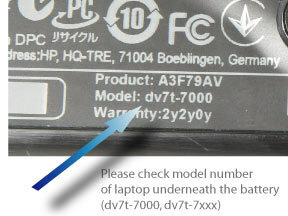 The exact model number of your HP Pavilion dv7 can be found at the bottom of the laptop, or under the battery. The model number should look something like this, “dv7-xxxx” or "dv7t-xxxx". Check the model number of your HP Pavilion dv7. Once you know the exact model number, you can figure out what additional hardware you would need to add a 2nd hard drive or SSD to your HP Pavilion dv7. Note that each HP dv7 series requires a specialized cable with connector to add a 2nd hard drive. These cables are not interchangeable between series models. Selecting the correct 2nd HDD Kit for your HP laptop is important. 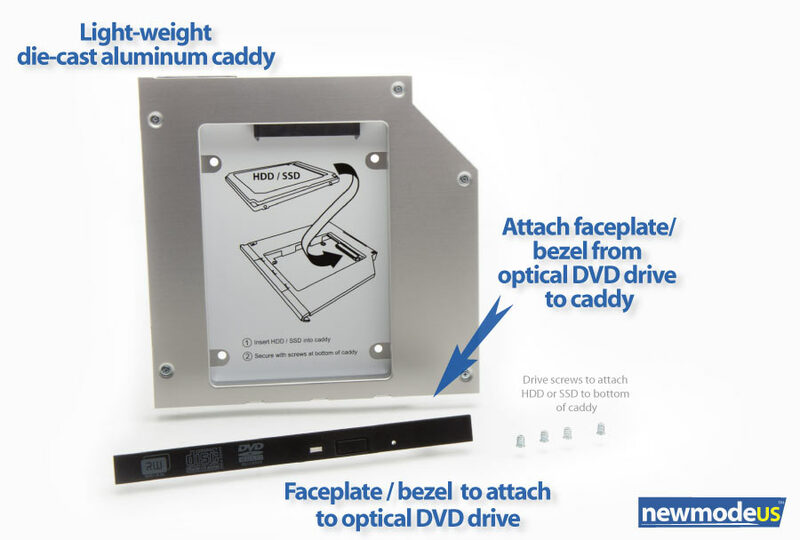 If you have HP Pavilion dv7-7000, dv7t-7000 series (dv7-7xxx), you would need a HDD caddy/bracket, SATA cable and screws to add a 2nd hard drive to your laptop. If you have a HP Pavilion dv7-6000, dv7t-6000 series (dv7-6xxx), all you would need is a SATA cable and screws to add a 2nd hard drive to your laptop. 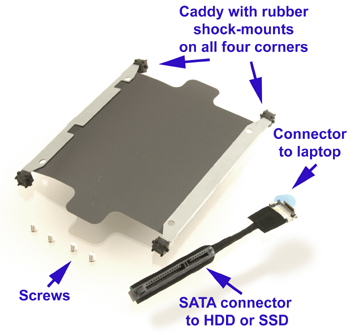 Your laptop already comes with a 2nd HDD caddy. If you have a HP Pavilion dv7-5000 series (dv7-5xxx) or dv7-4000 series (dv7-4xxx), you would need a caddy and long SATA cable to add a 2nd HDD to your laptop. If you have a HP Pavilion dv7-3000 series (dv7-3xxx) or dv7-2000 series (dv7-2xxx), you would need a caddy and SATA cable. If you have a HP Pavilion dv7-1000 series (dv7-1xxx), all you need is a caddy/bracket to add a 2nd HDD.